The founders and joint Artistic Directors of contemporary opera company Music Theatre Wales, Michael McCarthy and Michael Rafferty both receive MBEs in the 2016 New Year Honours list, published on December 31, 2015. The duo initially joined forces to form Cardiff New Opera Group in 1982. Their company evolved to become Music Theatre Wales, founded in 1988 with the mission to create a new opera company focussing entirely on new work. From new operas written expressly for the company – by composers including Philip Glass, Stuart MacRae, Michael Berkeley and Lynne Plowman – to UK premières of work by important European composers and classics of the contemporary repertoire by Birtwistle, Maxwell Davies and Turnage, the company created by McCarthy and Rafferty has developed an outstanding reputation for presenting new and challenging work in Wales, across the UK and internationally. The MBE awards acknowledge the important role both men have played in taking the company forward and their contribution to music and, in particular, in the creation of new opera. Michael McCarthy directs the majority of Music Theatre Wales’ productions and Michael Rafferty is the company’s Music Director. Music Theatre Wales begins 2016 by joining forces with Scottish Opera to co-commission and tour a brand new opera – The Devil Inside, by Scottish composer Stuart MacRae and acclaimed novelist Louise Welsh, based on a short story by Robert Louis Stevenson. 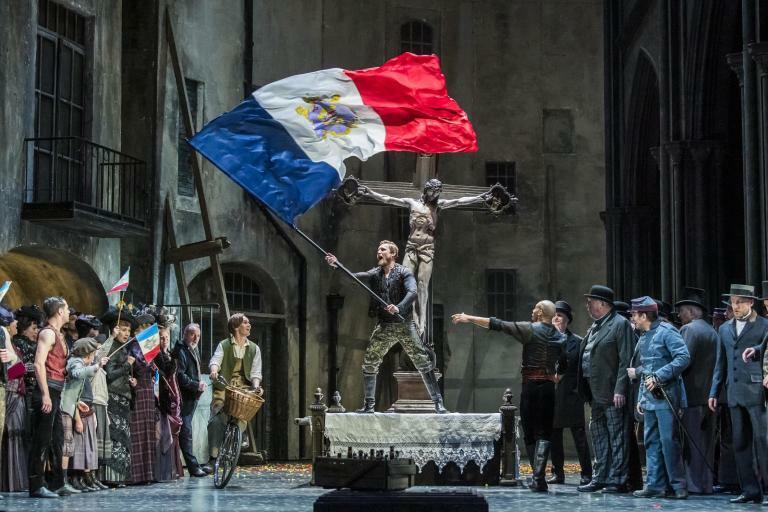 Following its world première in Glasgow (January 23, 2016), the opera’s national tour opens at London’s Peacock Theatre (February 3 & 4), followed by performances in Cardiff, Basingstoke, Manchester, Aberystwyth, Huddersfield, Mold and Birmingham (February – April, 2016). In another ‘first’ for the company Music Theatre Wales will give the UK première of renowned Hungarian composer Peter Eötvös’s latest opera The Golden Dragon (2014) at the Buxton Festival on July 18, 2016 followed by an autumn tour in England and Wales. Further information on Music Theatre Wales is available at musictheatrewales.org.uk.